At Barnes & Noble yesterday, an undisclosed number of employees were let go at stores around the country and the company named a new chief merchandising officer. Following another dismal quarter, B&N is laying off "lead cashiers, digital leads and other experienced workers in a company-wide clearing," CNBC reported. "The news came abruptly for many workers who showed up Monday morning at various Barnes & Noble locations to be notified that they no longer had a job." The extent of the layoffs is not publicly known. B&N has about 26,000 employees. B&N told CNBC that it "has been reviewing all aspects of the business, including our labor model. Given our sales decline this holiday, we're adjusting staffing so that it meets the needs of our existing business and our customers. As the business improves, we'll adjust accordingly." In the nine-week holiday period ending December 30, sales at B&N fell 6.4%, to $953 million, and sales at stores open at least a year also fell 6.4%. Online sales dropped 4.5%. 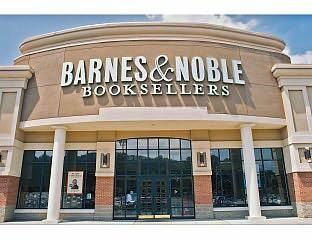 B&N has again gone outside the book industry to hire a top executive, naming Timothy Mantel chief merchandising officer. 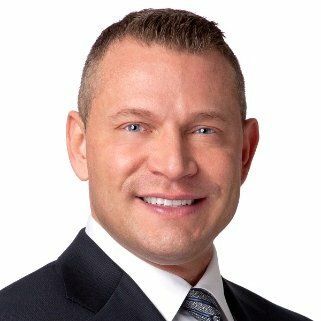 He most recently held the same position at GNC Corp. Before that, he was senior v-p, food, household essentials and food service at Target and earlier was president of Target Sourcing Services, a business analyst, buyer and merchandise planning director. Demos Parneros, B&N CEO, said that Mantel's "deep knowledge of retail and proven track record are exactly what we need to invigorate our merchandising strategy and grow our business. He will be a great addition to our management team." At B&N, Mantel will be responsible for "driving sales and profitability in all areas of merchandising within the company," including books, toys & games, gift, newsstand and music and entertainment. Mantel is a graduate of the University of Wisconsin's Madison School of Business, where he studied marketing and international business. He has served on various boards, including Nibakure Children's Village, a nonprofit that helps communities in Rwanda, and the Retail Industry Leaders Association Apparel Coalition. Enthusiastic crowd at the YMAs. 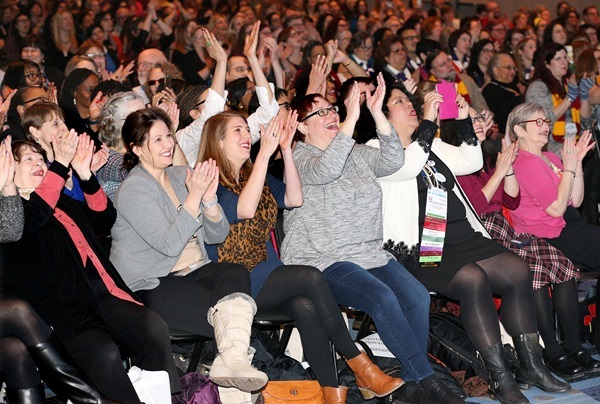 Some 1,500 eager librarians and publishing professionals streamed into the Mile High ballroom in Denver's convention center, eager to hear the American Library Association's announcements of the Youth Media Awards. YALSA (Young Adult Library Services Association) president Sandra Hughes-Hassell gave the opening remarks, followed by ALA president Jim Neal, who announced that three new awards--from the American Indian Library Association, the Asian-Pacific American Library Association (Apala) and the Association of Jewish Libraries (AJL)--will be given in 2019. Beginning with the Schneider Family Book Award--which honors an "author or illustrator for a book that embodies an artistic expression of the disability experience for child and adolescent audiences"--and ending with the prestigious John Newbery Medal for "the most distinguished contribution to American literature for children," every announcement of a 2018 Youth Media Award honoree and winner was met with enthusiastic yells, some surprised gasps and applause from the audience. 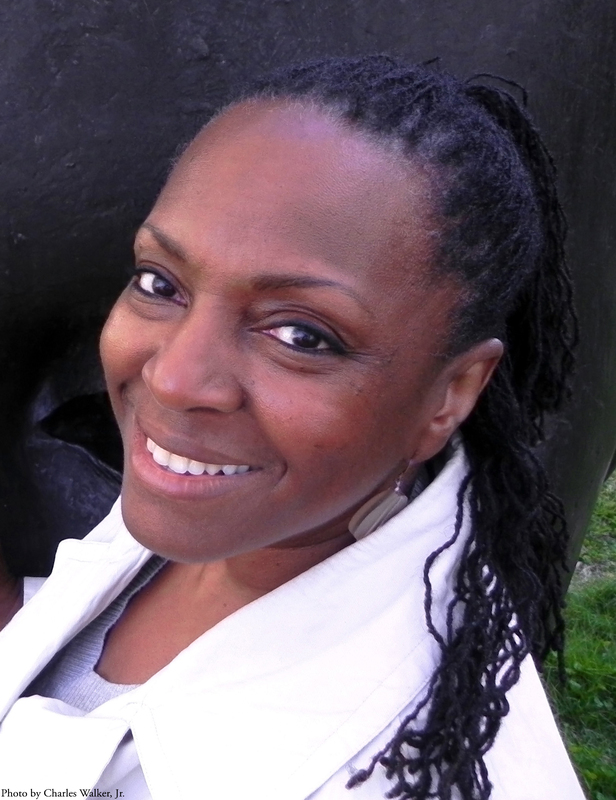 Renée Watson won the Coretta Scott King Award for outstanding African American author of books for children and young adults, in addition to a Newbery honor, for her YA novel Piecing Me Together (Bloomsbury). "The Newbery committee called first," Watson said. "After that amazing news, I just walked around my apartment letting it sink in. A few moments later, the phone rang again and it was the CSK committee. I shared the news with my family and we all cheered and reflected on this amazing journey." Ekua Holmes won the Coretta Scott King Illustrator Award for Out of Wonder: Poems Celebrating Poets from Candlewick Press. When asked if she'd thought she might have been in the running for this award, Holmes responded, "Not even a little bit. I haven't been in this world for very long and I have not begun [to] think about awards when I'm working. I hope I never do. But I did want my work to have longevity and resonate beyond the first book." 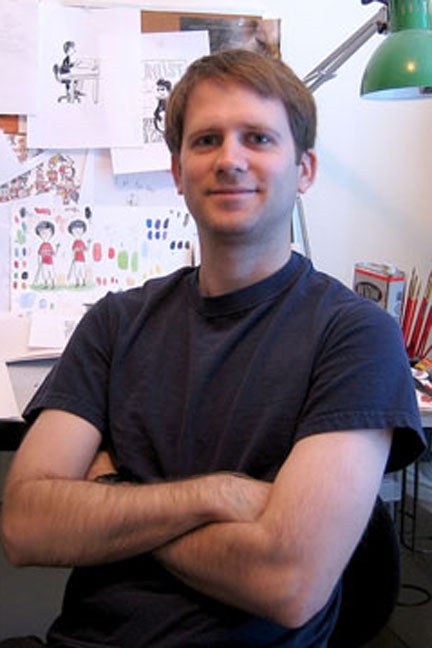 The 2018 Caldecott prize for the most distinguished American picture book for children was awarded to Matthew Cordell for Wolf in the Snow (Feiwel & Friends). Knowing there'd been some buzz around his book, Cordell waited, wondering if he would receive a call. Then, the "caller ID said something like Colorado Convention Center," Cordell recounted. "Immediately, I got the shakes and got super tongue tied. Once I worked out that I was talking to the entire Caldecott committee, I think I managed to ask if it was 'the gold one' that I was getting." Like Cordell, Nina LaCour "harbored a hope" that her book, We Are Okay (Dutton), "would get recognition of some kind"--and she did: LaCour is the winner of the Michael L. Printz Award for excellence in literature written for young adults. She recalled, "Something felt different to me when I was writing We Are Okay. 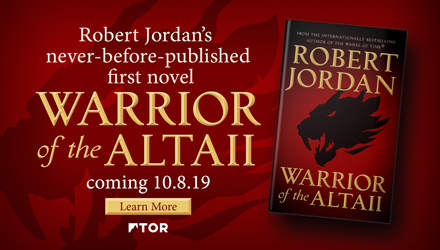 It felt a little bit magical, like I had an idea of what I wanted the book to be and the words matched that idea in a way that had never quite happened to me before." Erin Entrada Kelly, winner of the John Newbery Medal for Hello, Universe (Greenwillow Books), was driving when she got the call: "I got a message from my editor at around 9:30 a.m. It was only three words. 'Where are you?' I said, 'In my car. Where should I be!?' A few minutes later--the longest few minutes of my life, by the way--the committee called and told me the news. Apparently, they had been trying to reach me for a while. I was in total shock. I believe my first words were, 'Wait. What?' 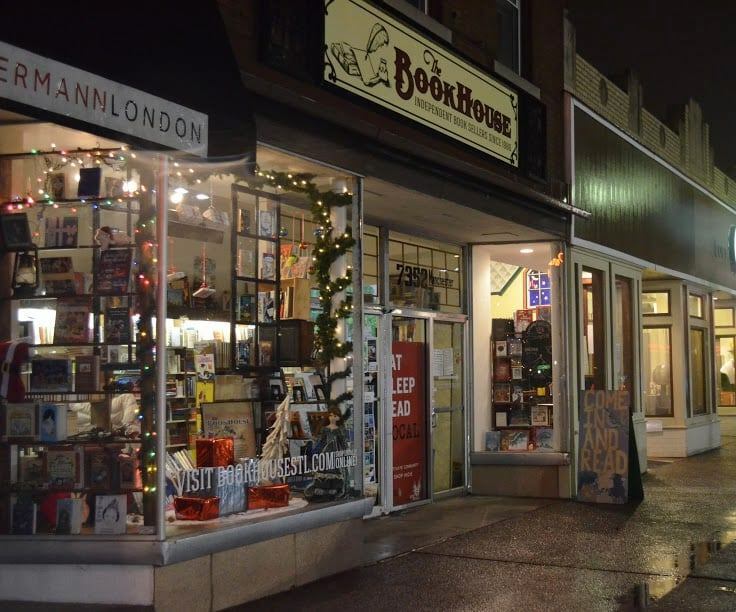 "
The Book House, Maplewood, Mo., has received a March 1 deadline from its landlord, Red Brick Management, "to vacate the space in the front of the store, which is now the children's section," 40 South News reported. Owner Michelle Barron said the store--which sells new and used books--is using the space behind the children's section for storage, and that will have to be emptied, too, not long after the front. The plan is to move the children's books to the basement, where additional fluorescent lights and shelves have been installed. The store is also looking for additional storage space. The Book House is hosting a volunteer party February 15 and 16 to help with the move. On its website, the store said: "We're having to move from the eastern section of our building, but DON'T PANIC--we're still open, and the books are moving downstairs! If you'd like to help out with the move, we're looking for volunteers to help us move books and shelves from the children's room to their new location downstairs--come by on the above two dates with your sleeves rolled up!" Darren Witherall has been appointed chief operating officer for IglooBooks, one of three "key" appointments across the publisher's senior management team in the U.K. and U.S., the Bookseller reported. Bonnier Publishing acquired IglooBooks in 2014. Witherall, whose career includes 23 years at Parragon Books, will work from IglooBooks' office in the U.K. and report to CEO Paul Gregory, who said: "Darren and I have worked closely together for many years. To bring somebody into the business of his proven caliber will substantially underpin our significant global growth plans over the coming years." In other changes at IglooBooks, Bonnie Hunter has been named joint v-p, leading the U.S. business alongside Jeremy Nurnberg, who is also stepping into the role of v-p. They will be based at IglooBooks' office in New York City. Hunter most recently served as director of sales at Parragon Books in the U.S. Prior to that, she held positions at both World Publications and Smithmark Publishers as a national accounts manager. "Our North American business is our key growth opportunity," Gregory said: "Securing Bonnie, to work alongside Jeremy, gives me great confidence in realizing business potential." Poet Claribel Alegría, "who wrote of the harsh realities of Central American life and the search for identity and hope--work informed by her own uprooting, first from Nicaragua and then from El Salvador," died January 25, the New York Times reported. She was 93. "El Salvador is the fatherland because it's where I grew up," she said in 1999. "But my motherland, Nicaragua, has welcomed me with open arms." As the harvest passes by. Her books include Thresholds/Umbrales: Bilingual Poems; Fugues; Halting Steps: Collected and New Poems; Sorrow; and Woman of the River; Flowers From the Volcano; and Saudade/Sorrow. 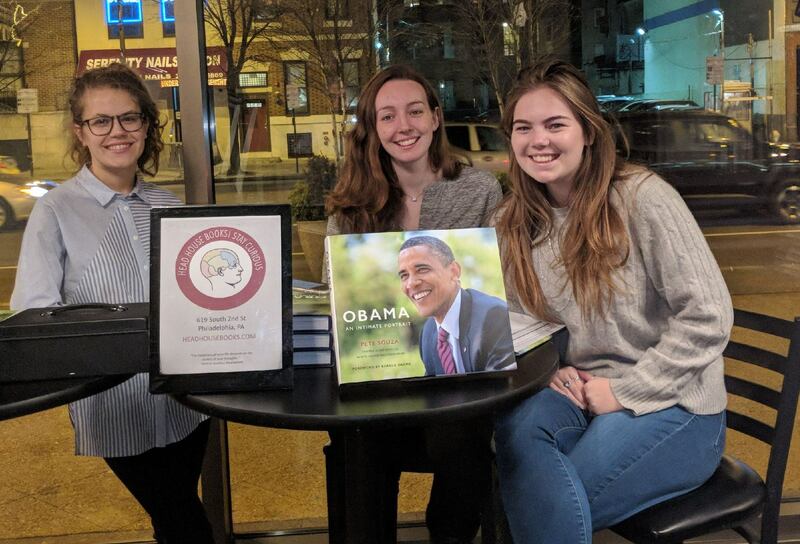 Head House Books in Philadelphia, Pa., partnered with radio station WHYY for a sold-out event featuring former White House photographer Pete Souza last Thursday at the Suzanne Roberts Theatre. After a long afternoon of unboxing and unwrapping 65 cartons of his book, Obama: An Intimate Portrait (Little, Brown), the store reported, "We were thrilled by the great turnout (even on the same day as the Eagles parade!)." Pictured: Head House booksellers Vivienne Woodward, Isabelle De Wyngaert and Sophie Partridge-Hicks. Happy 50th Anniversary, the Book Shop of Beverly Farms! 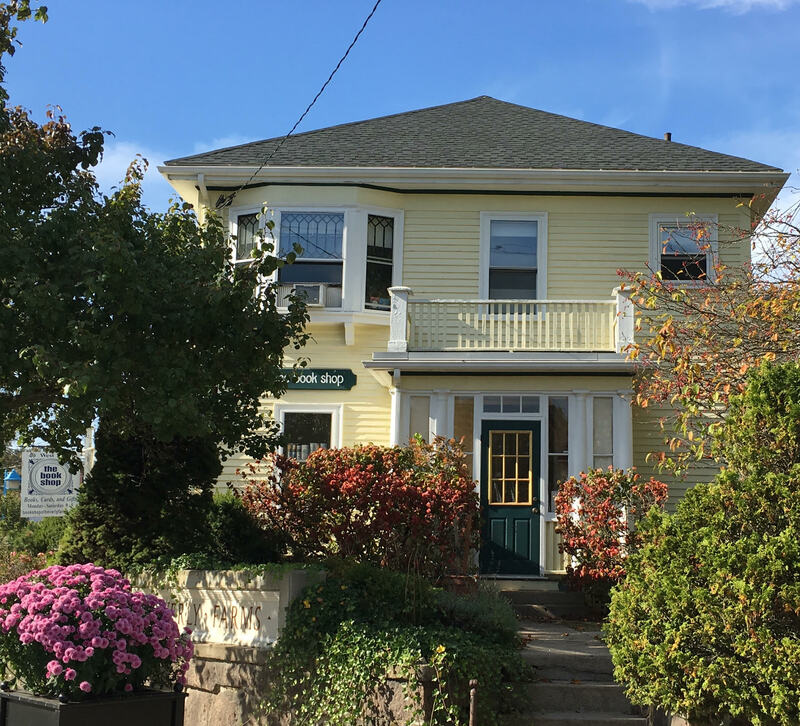 Congratulations to the Book Shop of Beverly Farms in Beverly, Mass., which celebrates its 50th anniversary this month. Original owners Nancy Hewson, Mary Perkins and Mimi Adams opened the store in February of 1968, in a storefront that for a long time housed a barbershop. Around a dozen years later the trio hired Laurence Brengle to manage the store; Brengle eventually bought the business and ran it for 15 years. In 1997, current owners Pamela Price and Lee Simonds Brown took over, and since then several local investors have come on board. The Book Shop's three founders remain avid customers. When the store opened in 1968, some of its bestsellers included Arthur Hailey's Airport and William Styron's Confessions of Nat Turner. Some highlights from the store's long history include years of midnight Harry Potter release parties and a long association with local author John Updike, who often stopped by for impromptu book signings. A 50th anniversary celebration event is planned for April, once things thaw out a little bit in New England. Price added: "it will involve margaritas." For the month of February, Horizon Books, Traverse City, Mich., is featuring Veronica Henry's How to Find Love in a Bookshop. Accompanying the book in the store's display window are framed photos of Horizon Books staff members who found love--you guessed it--in the bookshop. Horizon noted that owners Victor Herman and Amy Reynolds "found love in Horizon Books, and now have been married for 26 years. Also, employee Megan met then-employee Sean at Horizon Books, and the two have been married now for five years. Employee Erin met her husband Alan in Horizon Books, and most recently employee Ben met his wife of a few months while he was making her a drink at our Coffee Bar. Love blossoms around books, and Horizon Books is looking for customers' love stories that were planted here in our bookshop!" 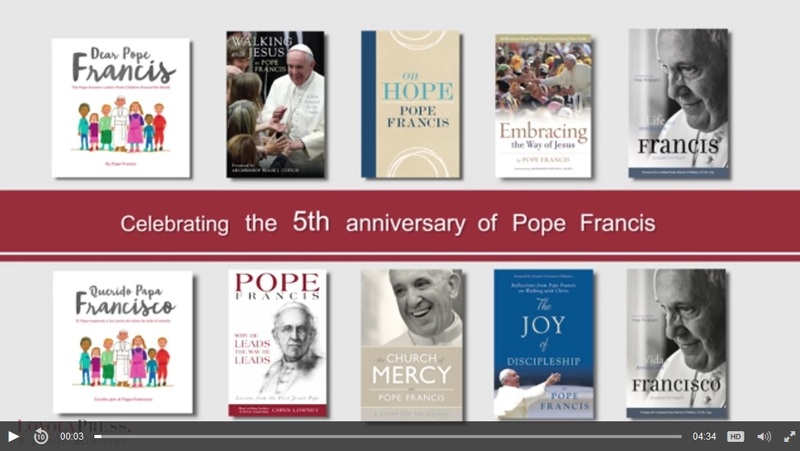 Loyola Press, which has published more books by Pope Francis than any other U.S. publisher--two of them national bestsellers--celebrates with this video, on the occasion of the fifth anniversary of the pope's election. Fresh Air: Joshua Green, author of Devil's Bargain: Steve Bannon, Donald Trump, and the Nationalist Uprising (Penguin Books, $17, 9780735225046). The Opposition with Jordan Klepper repeat: Vicente Fox, author of Let's Move On: Beyond Fear & False Prophets (Savio Republic, $25, 9781682615430). The NBC Universal-owned production company Carnival Films (Downton Abbey) is in development with the BBC on a TV version of Francesca Segal's novel The Awkward Age. Helen Edmundson (An Inspector Calls, The Suspicions of Mr. Whicher) is writing the adaptation, which will be executive produced by Carnival's Gareth Neame, Nigel Marchant and Joanna Strevens, with Tara Cook as development producer. NBC Universal International Distribution will distribute the series worldwide. "Francesca Segal's The Awkward Age is an extraordinary work in its sensitivity, honesty and ability to explore the many aspects of these deeply authentic characters," said Neame, who is also executive producing Julian Fellowes' Downton follow-up The Gilded Age. "We are delighted to have the perfect screenwriter to adapt this material in Helen Edmundson, who is deeply passionate about the book and bringing all of the strengths of the novel to screen." Mary J. Blige (Mudbound) will star in The Umbrella Academy, Netflix's upcoming live-action series from Universal Cable Productions based on the popular graphic novels written by Gerard Way and illustrated by Gabriel Bá, Deadline reported. Jeremy Slater is writing the adaptation, which also stars Tom Hopper, David Castañeda, Emmy Raver-Lampman, Ellen Page, Robert Sheehan and Aidan Gallagher. Susanna Reich won the Rip Van Winkle Award for outstanding contributions to the world of children's literature. Presented by the School Library Media Specialists of Southeastern New York, the award is given to a children's book author who resides in the region and will be presented at the organization's Annual Spring Symposium on May 19. Reich writes fiction and biography for children and young adults, including Stand Up and Sing! Pete Seeger, Folk Music and the Path to Justice; Fab Four Friends: The Boys Who Became the Beatles; Minette's Feast: The Delicious Story of Julia Child and Her Cat; and José! Born to Dance. 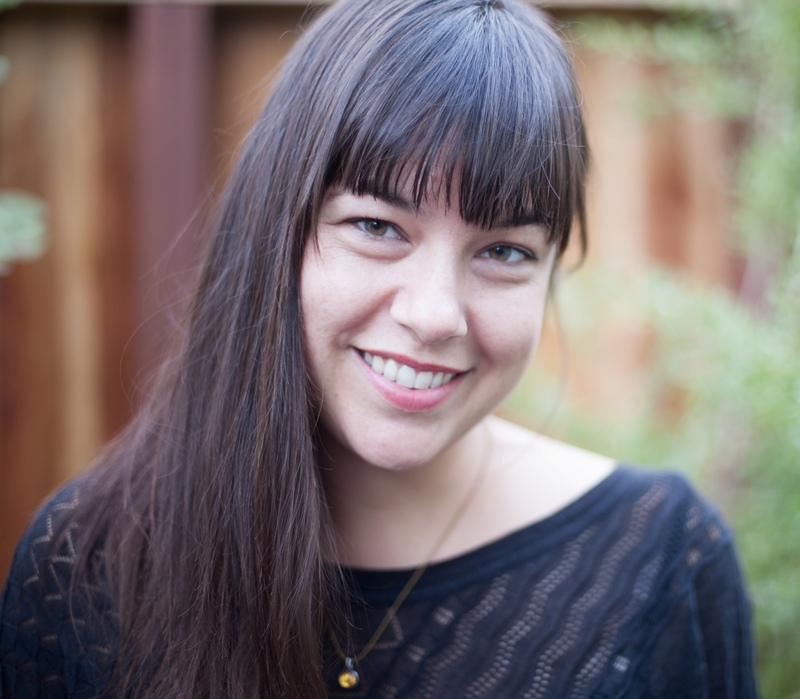 She is the immediate past chair of PEN America's Children's & Young Adult Book Committee. Though it garnered scant attention at the time of its release, Van Morrison's 1968 album Astral Weeks gradually entered the pantheon of rock music's greatest works over the next half century. Taking as his starting point Morrison and his iconic disc, Boston musician and journalist Ryan H. Walsh paints a fine-grained and wide-ranging portrait of the album's gestation during the several months the Irish singer-songwriter lived in Cambridge, Mass., and of life in the city's counterculture in that raucous year. In early 1968, Morrison moved to Cambridge to escape his ties to a New York City producer and record label with serious mob connections. Over the next few months, with a shifting cast of local musicians known as the Van Morrison Controversy, he slowly shaped distinctive songs like "Cyprus Avenue" and "Madame George," which ultimately found their way onto the legendary album. The chapter in which Walsh describes the Astral Weeks recording process in the fall of 1968 offers deep insight into the creative process of this mysterious work, and reveals how closely the final product was tied to Morrison's Boston area performances. Walsh also devotes considerable attention to life in a commune known as the Fort Hill Community, in Boston's Roxbury neighborhood. The group, which bore some superficial resemblance to the Manson family (fortunately without its homicidal streak), was started by a folk musician named Mel Lyman. One of Lyman's most noteworthy accomplishments was the epic harmonica solo he performed at the 1965 Newport Folk Festival to help calm the crowd incensed by the electric set Bob Dylan had delivered that evening. The enigmatic folk performer (believed to have died in 1978, though Walsh notes the lingering questions about his demise) was involved in creating the alternative newspaper Avatar, a publication that was an important, if controversial, source of news and opinion about life in Boston's counterculture. 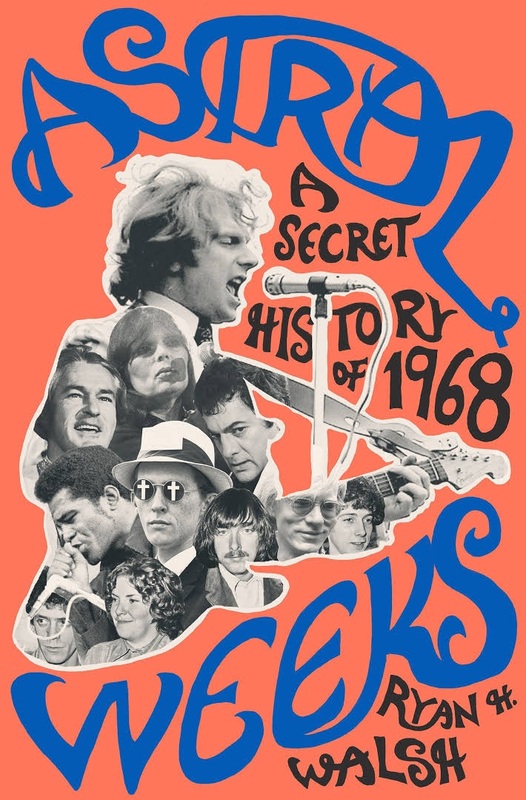 Shelf Talker: Musician and journalist Ryan H. Walsh offers an energetic history of Boston's robust counterculture in 1968.